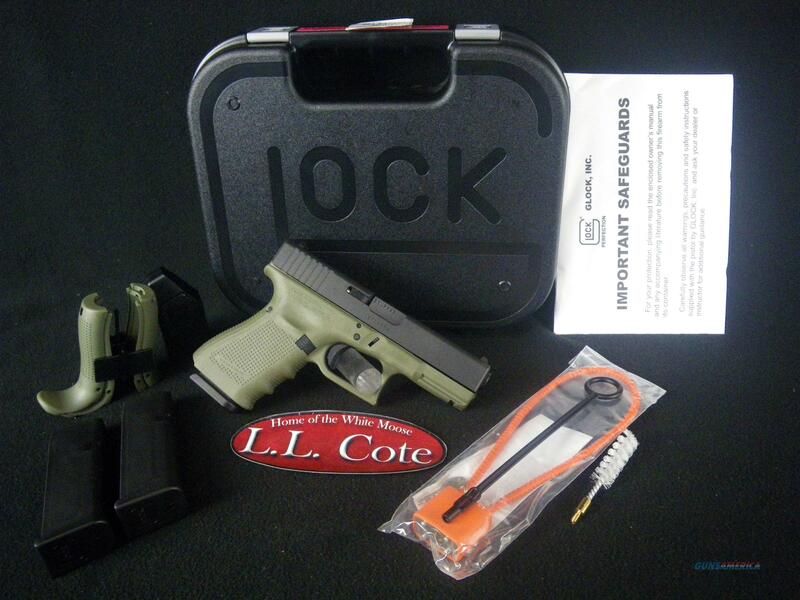 Description: You are bidding on a Glock 19 Gen4 in 9mm with a 4.01" barrel. The GLOCK 19 Gen4, in 9x19, introduces revolutionary design changes to the pistol that has found worldwide acclaim with security services both private and public. The Modular Back Strap design lets you instantly customize its grip to adapt to an individual shooter's hand size. The surface of the frame employs the new scientifically designed, real-world-tested, Gen4 rough textured technology. Internally, the new GLOCK dual recoil spring assembly substantially increases the life of the system. A reversible enlarged magazine catch, changeable in seconds, accommodates left or right-handed operators. The G19 Gen4 retains the GLOCK accessory rail for your attachments. Displayed images are stock photos. Any questions please feel free to ask (our phone number is in the additional information tab above).